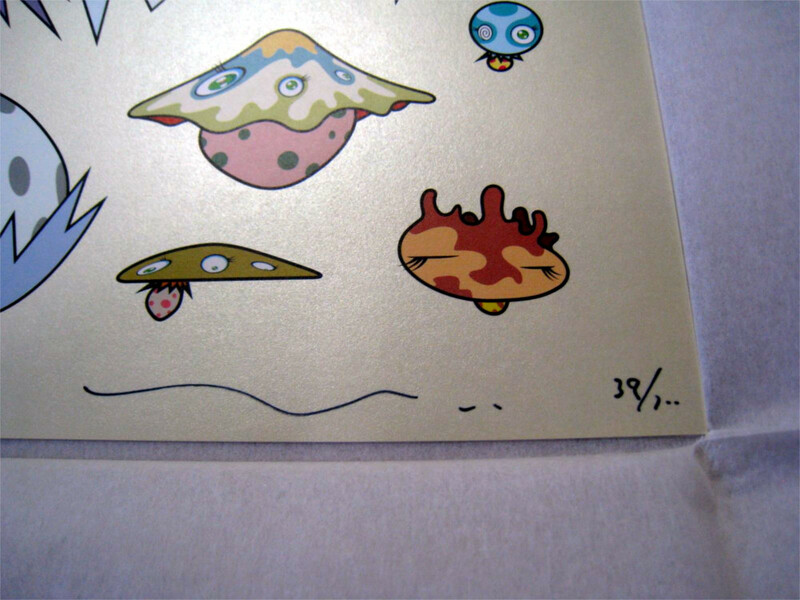 At some point a Murakami collector will start comparing prints and suddenly realize something strange––the signatures don’t match! 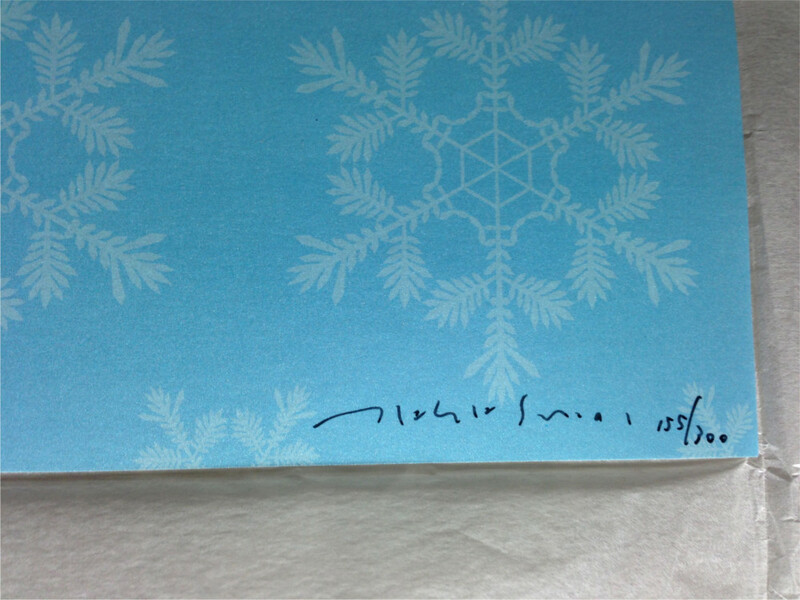 Murakami’s signature evolves from a legible printed scrawl to the now ubiquitous opaque loops. A rose by any other name would smell as sweet, but what about Murakami’s John Hancock? With the (de)evolution of his signature you suspect he would have trouble signing off on multimillion dollar contracts; however, he clearly has license when it comes to his art. 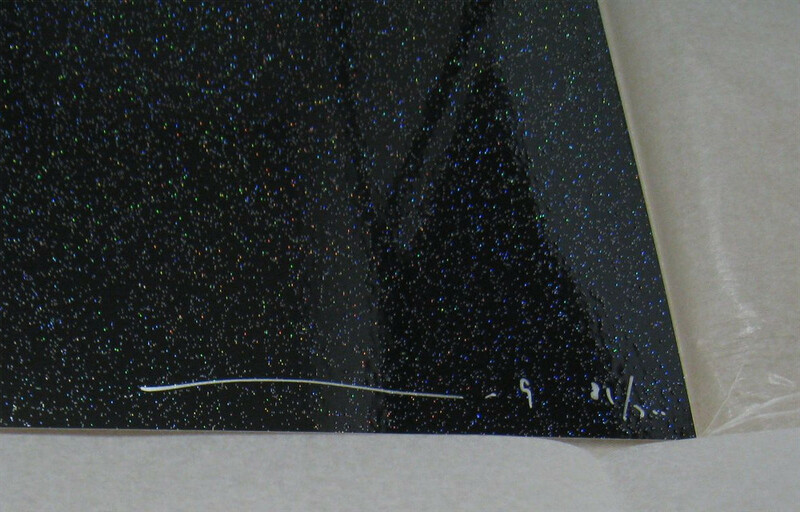 This Sugimoto68 guide charts the chameleon-like Murakami signature. Murakami’s enigmatic nature contributes greatly to his expanding popularity. He obsesses over beetles, his pup Pom, rustic Japan and international pop culture, as noted in his Interview interview. This madness energizes his base, but not without a few shortcomings. On many occasions, his obsession with perfection has left fans eagerly awaiting long overdue prints, such as with the Kansei print series. His nearly spastic, spontaneous creative alchemy can drive his workers at a maddening pace. 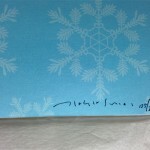 And of course, his ever-evolving signature, too, may confound collectors. 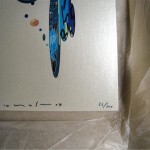 In the beginning he simply signed by printing his given name, Takashi, along with the year. 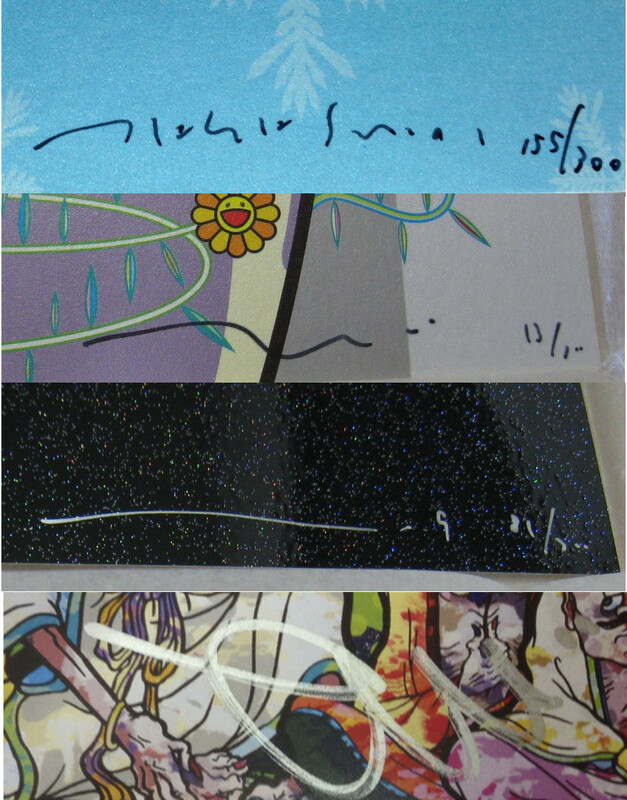 The signatures from 2001 to 2004 range from a relatively legible signature as seen on Snow (2001) to the somewhat flowy print evidenced on Tantanbo (2004). 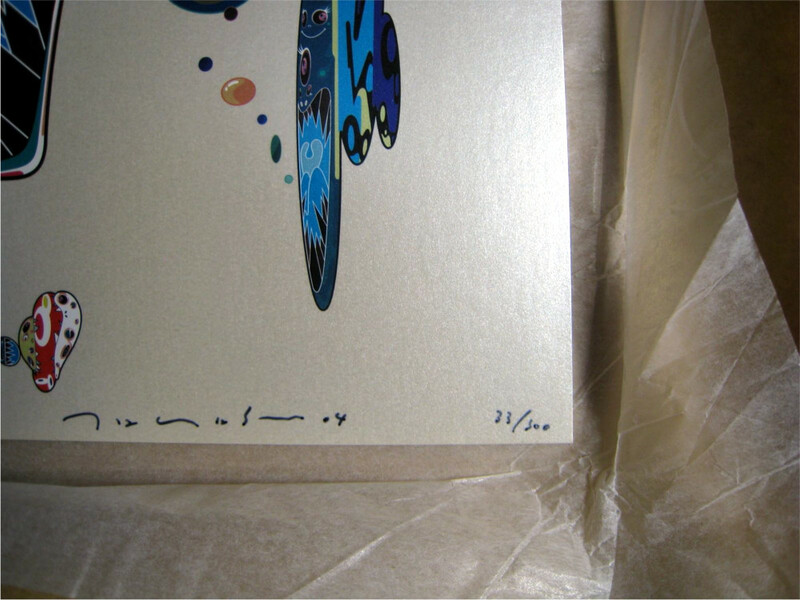 You can see the evolution of his signature in your copy of Murakami Prints (2008) . 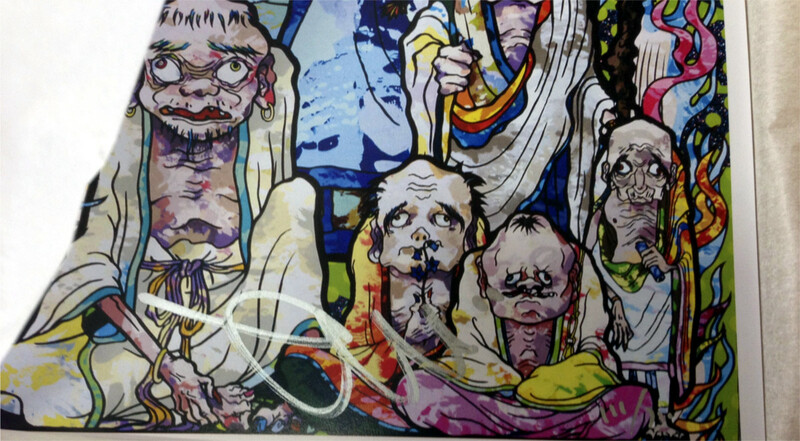 Murakami accomplished an impressive feat considering the huge number of prints to sign. The first My First Art series had 20 prints (x300 editions) and the second series had 10 prints (x300 editions), so he had to sign 6000 offset prints the first year, and half that number between 2003 and 2004. On the high-end, that amounts to 500 prints a month his first year and half as many for the second series—both large but manageable loads. 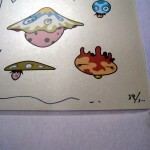 The first signature shift occurs in 2005 when the printed scrawl morphs into a wavy line as seen in Skulls Rock (2005) and Champignon (2006). The line tends to flatten out from time to time as in Reversed Double Helix – Black Head Brown Body (2009), but generally remains the same through 2010. 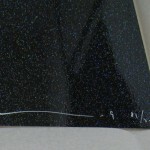 The new single line signature really came in handy during the 2005-2010 period since the latter half of that period marks the beginning of the notoriously late shipments. 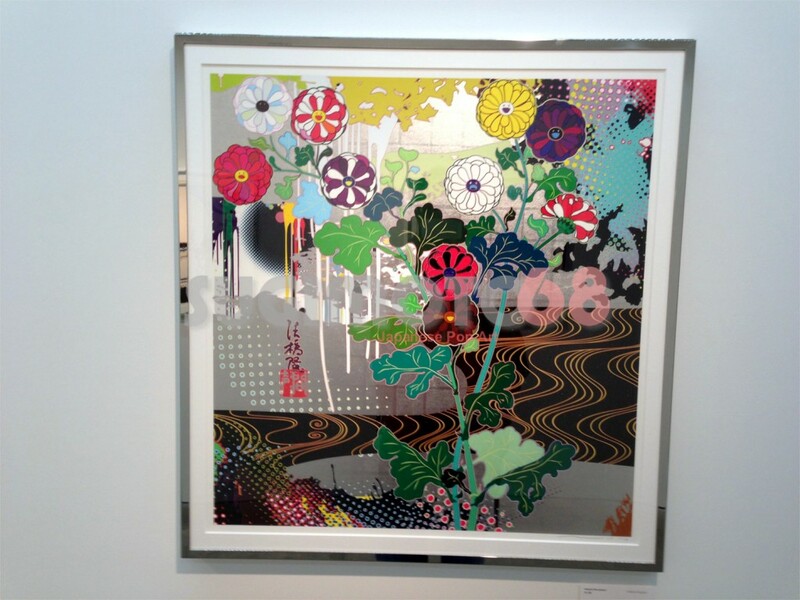 Of the 24 prints released between 2005 and 2006, six were released online in 2005 while 18 were released in 2006 at Murakami’s annual art fair Geisai. 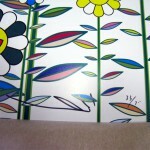 He had an easy 1800 prints to sign in 2005 but a more challenging 5400 prints to sign for 2006. Factoring in his growth in popularity he probably had more trouble in these 3rd and 4th series pumping out around 7K signatures, but he still managed to do it and ship on time. 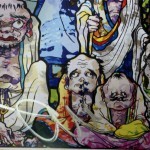 From 2007 onward, there has been a massive release of prints with over 30 editions through 2009 and then an explosion from 2010, the year he released over 50 editions—making over 15,000 prints to sign that year. 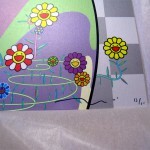 The line sign continued until 2011 and then the new signs of change began around the time of Flower 1 & 2 with a loop. The early 2011 prints mark the transition from line + loop to the full blown loop signature that has dominated his prints ever since. 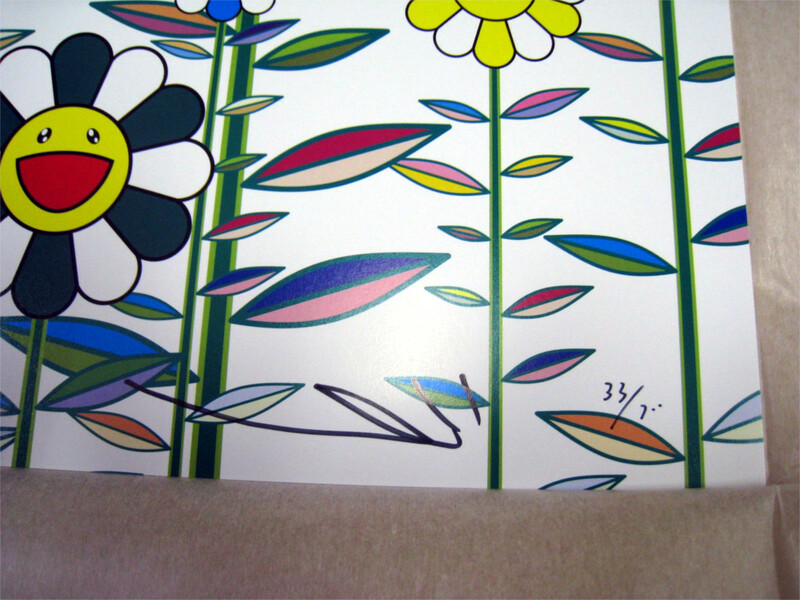 With over 50 new prints in 2011 and then over 60 print releases in 2013, we may never hope to see a legible Murakami autograph on a print ever again! 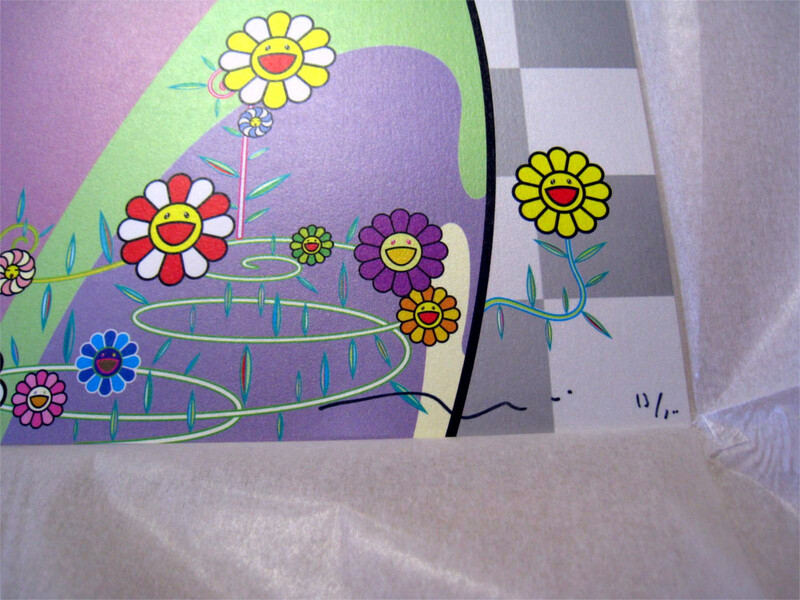 As seen below, the Murakami silkscreens have signatures along the same lines, literally and figuratively. So we have to take Juliet’s message very seriously and accept the ever-mutable sign in whatever form Murakami happens to desire.